New Delhi, February 13: Union Defence Minister Nirmala Sitharaman addressing a presser following her visit to Jammu and Kashmir has stated that India will hit back Pakistan strongly. "Giving the evidences to Pakistan will be a continuous process. It will have to be proved over and over again that they are responsible. Pakistan will have to pay for this misadventure," Sitharaman said, adding that the Jaish-e-Mohammed (JeM) militants were sponsored by Azhar Masood. "I would not certainly set a timeline but Pakistan will pay for this misadventure. I can only assure the people of Jammu and Kashmir and the entire country that the Army, both the governments at the state and the Centre, are definitely looking at it with all seriousness," she said. "On the contrary, we find people directly responsible for the Mumbai attack and many others still free and roaming happily in Pakistan," the defence minister added. Sitharaman said Pakistan was resorting to ceasefire violations to assist infiltration and asserted that Islamabad was expanding its arc of terror to areas south of the Pir Panjal Range in the Jammu region. 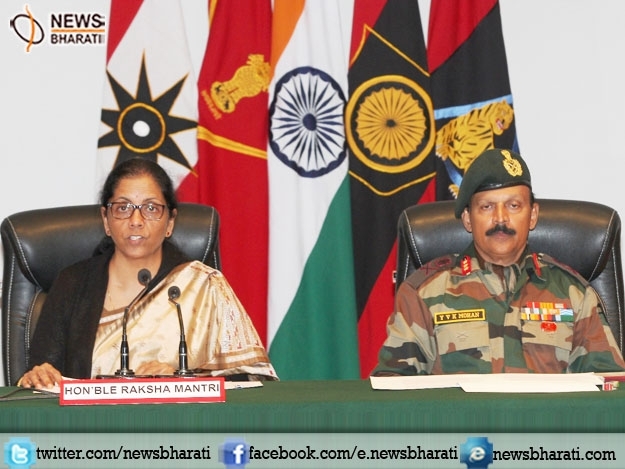 Sitharaman, however, said infiltration across the LoC had ebbed due to the deployment of the anti-infiltration obstacle system (AIOS) and a dynamic multi-layered counter-infiltration grid. Defence Minister Nirmala Sitharaman on Monday has left for winter capital Jammu to take stock of the security situation in the state that emerged after the Sunjwan Fidayeen attack.